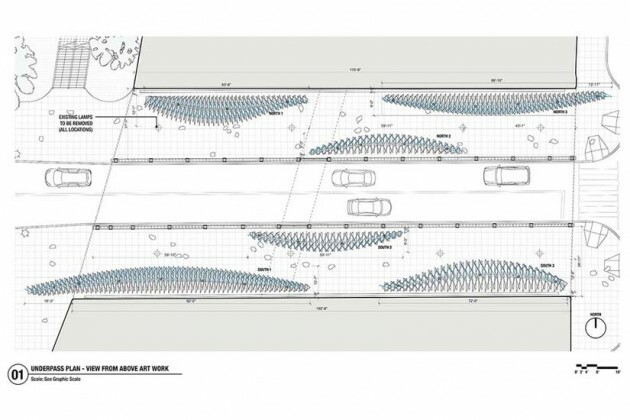 A sound-sensitive art installation is coming to the L Street NE underpass, the NoMa Parks Foundation announced today. The organization has selected “Lightweave” by Future Cities Lab as the second winner of its “Underpass Art Park” competition. Workers are slated to begin installing Lightweave later this year. “The jury made its decision to select Lightweave based on excellence and innovation of its design but also its remarkable complementarity with the L Street Plaza, planned for the west side of the underpass,” the foundation’s chairman, Charles Wilkes, said in a statement. 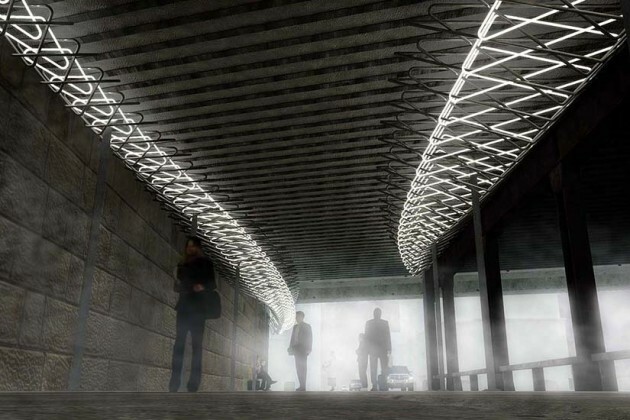 The installation will curve along the walls on both sides of the underpass’s pedestrian walkway. The passing of cars and other noises that exceed 50 decibels will affect the color and movement of the lights. The NoMa Parks Foundation will hold a community meeting introducing the design and construction teams on July 13 from 6:30 to 8 p.m. in the Lobby Project (1200 1st St. NE). The organization in April picked Thurlow Small Architecture and NIO architects to design the first underpass installation at M Street NE. Called “Rain,” the passageway under the train tracks will have “countless points of light raining down from its ceiling,” according to the foundation.